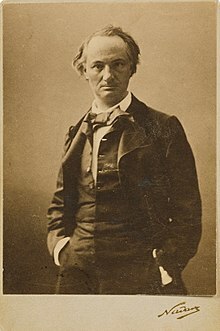 Charles Baudelaire (9 April 1821 – 31 August 1867) was a French poet, critic and translator. I think there can be few examples of a life as dilapidated as mine. All beauties, like all possible phenomena, have something of the eternal and something of the ephemeral — of the absolute and the particular. Ô douleur! ô douleur! Le Temps mange la vie. Oh pain! Oh pain! Time eats life. Oh pain! Oh pain! Time eats our lives. Oh pain! Oh pain! Time is eating away my life. Do not look for my heart any more; the beasts have eaten it. There is in the word, in the logos, something sacred which forbids us to gamble with it. To handle a language skilfuly is to practice a kind of evocative sorcery. Like a voluptuous cat about the feet of a queen. Paraphrased in The Usual Suspects as "The greatest trick the Devil ever pulled was convincing the world he didn't exist." Variant translation: The more a man cultivates the arts the less he fornicates. Il n'existe que trois êtres respectables: le prêtre, le guerrier, le poète. Savoir, tuer et créer. Les autres hommes sont taillables et corvéables, faits pour l'écurie, c'est-à-dire pour exercer ce qu'on appelle des professions. There exist only three beings worthy of respect: the priest, the soldier, the poet. To know, to kill and to create. Other men are taxable and exploitable, made for the stable, that is to say, to exercise so called professions. There exists in the word, in the verb, something sacred which prohibits us from viewing it as a mere game of chance. To manipulate language with wisdom is to practice a kind of evocative sorcery. There is in a word, in a verb, something sacred which forbids us from using it recklessly. To handle a language skillfully is to practice a kind of evocative sorcery. 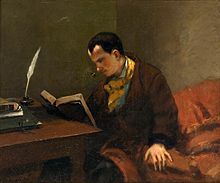 Oh Baudelaire... He used to be enormously important to me. It’s thanks to him that I was able to get through the war [in Paris, during 1940 – 1945 Van Velde had a long and painful break, with only a few paintings he finished]. A true loyal mind without hypocrisy. The most universal spirit. The greatest Frenchman. I have always been much less interested in painters [than Baudelaire - a great surprise to hear for Charles Juliet the interviewer]. 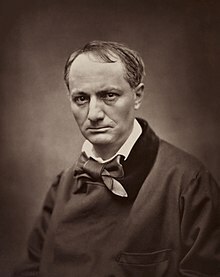 Gautier says, “Baudelaire abhorred philanthropy, progressivists, utilitarians, humanitarians and utopianists.” In other words, Baudelaire condemned Rousseauism in all its forms. Today, Rousseauism has so triumphed that the arts and the avant-garde are synonymous with liberalism, an error enforced by literature teachers, with their humanist bias. I follow the Decadents in trying to drive Rousseauist benevolence out of the discourse in art and literature. The Decadents satirized the liberal faith in progress with sizzling prophecies of catastrophe and cultural collapse. This page was last edited on 22 September 2018, at 21:49.